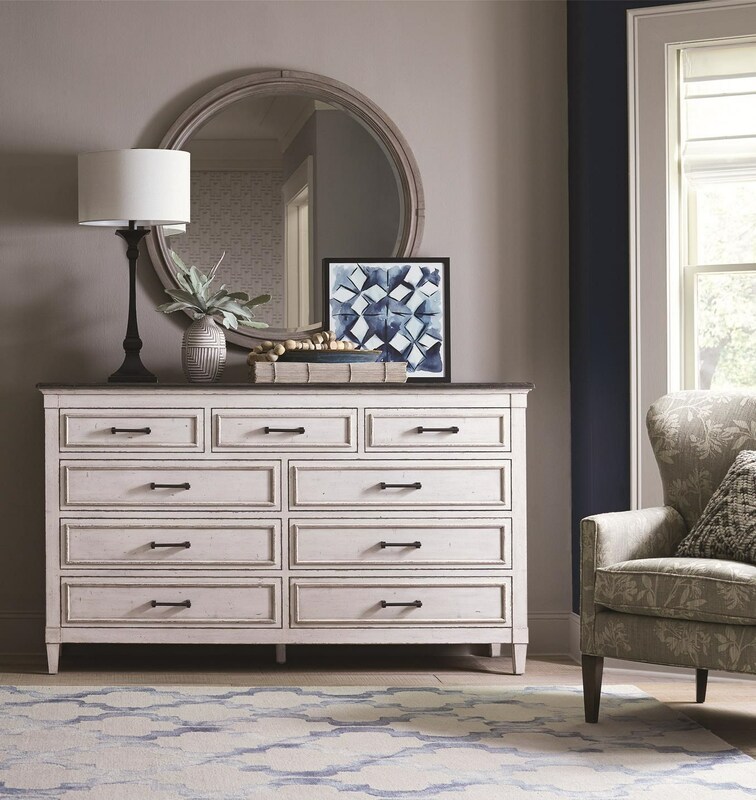 The 9 Drawer Wood Top Dresser & Mirror Set by Bassett is an attractive piece that brings joy to any home. The texture, finish and surface are aged whitestone. The Bella Dresser & Round Mirror by Bassett at Great American Home Store in the Memphis, TN, Southaven, MS area. Product availability may vary. Contact us for the most current availability on this product. The Bella collection is a great option if you are looking for Cottage furniture in the Memphis, TN, Southaven, MS area. Browse other items in the Bella collection from Great American Home Store in the Memphis, TN, Southaven, MS area.